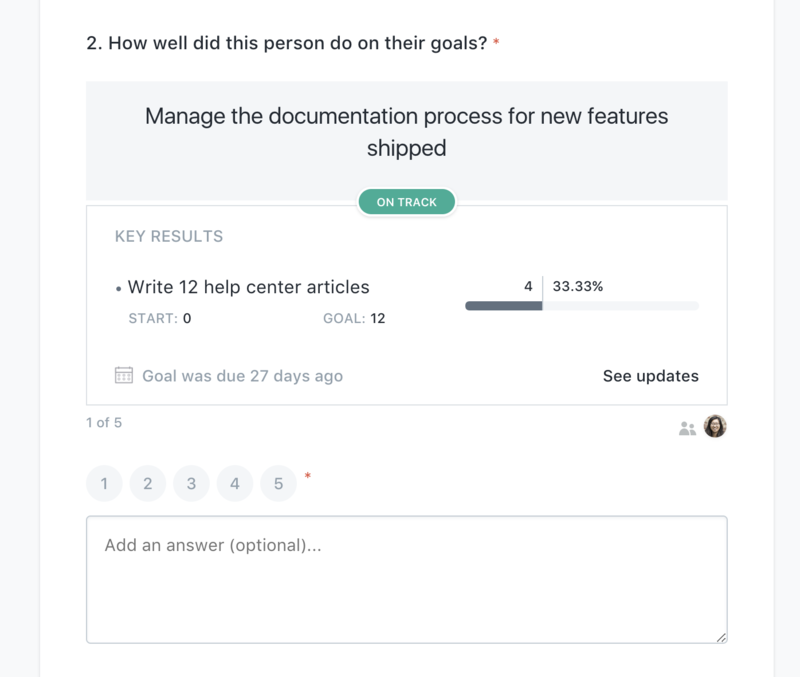 As you're setting up a review cycle, Lattice gives you the ability to configure your templates so that rather than getting the same content for every person they are reviewing, reviewers get asked questions about goals that are specific to the person they are reviewing. The first step is creating a review template that is configured to pull in goals. From the "Reviews" section of the "Admin" Panel, create a review template. 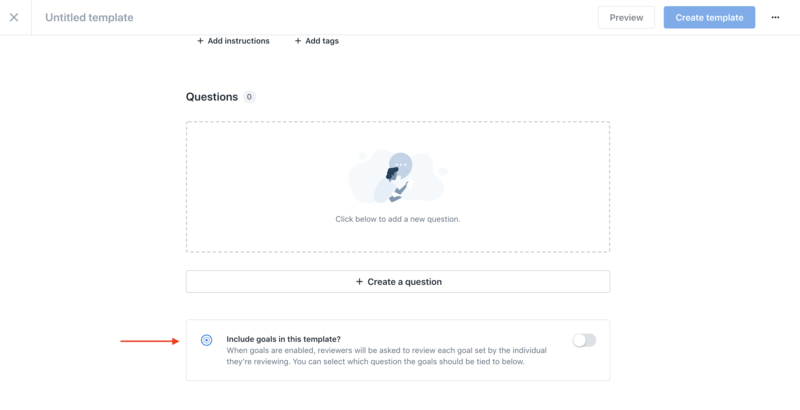 Set up your non-goal related questions as you normally would, and then scroll to the bottom and enable the "Include goals in this template" section. 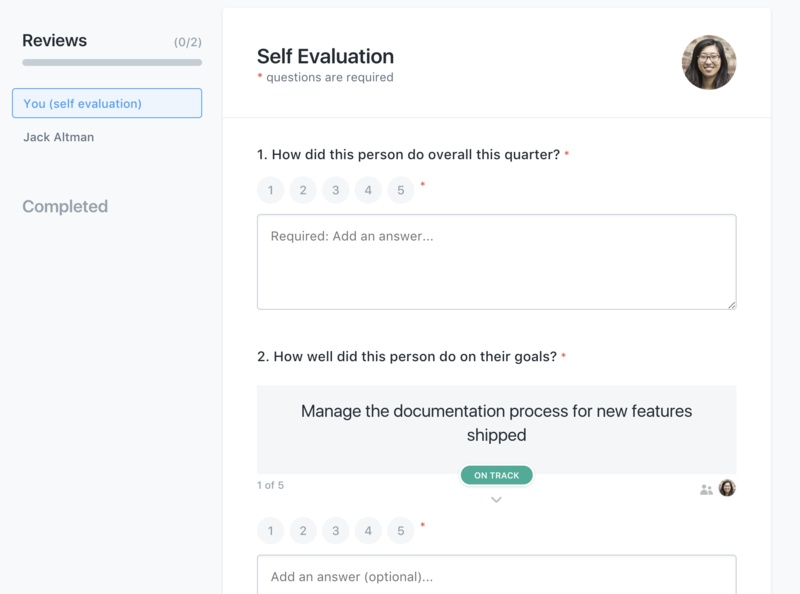 Once you do that, the panel will expand, and you can customize the wording of the question you want to ask about the goals, as well as choose how you want reviewers to respond to the question. The response types that are available are the same as in non-goal questions: rating, multiple choice, and comment. The last part to configure in the template is to select with which goals to pull in. You can choose to pull in currently active goals or recently ended goals, within a timeframe of your choosing. Remember, the timeframe will be relative to the day that you launch the review cycle, not when you create the template. 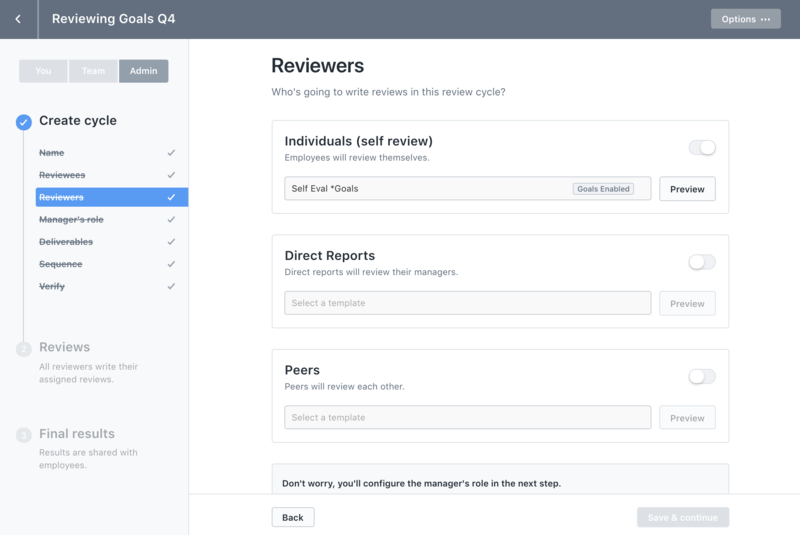 Once you've set up the review template, you'll be able to assign that template to the review groups as you're setting up the review cycle. 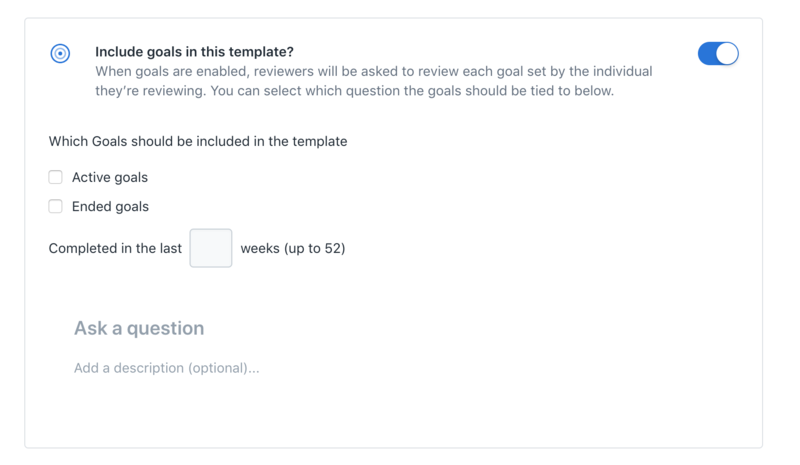 Templates that have the goals portion enabled will be labeled with "Goals Enabled" in the drop-down list in the "Types and templates" step of creating a review cycle. 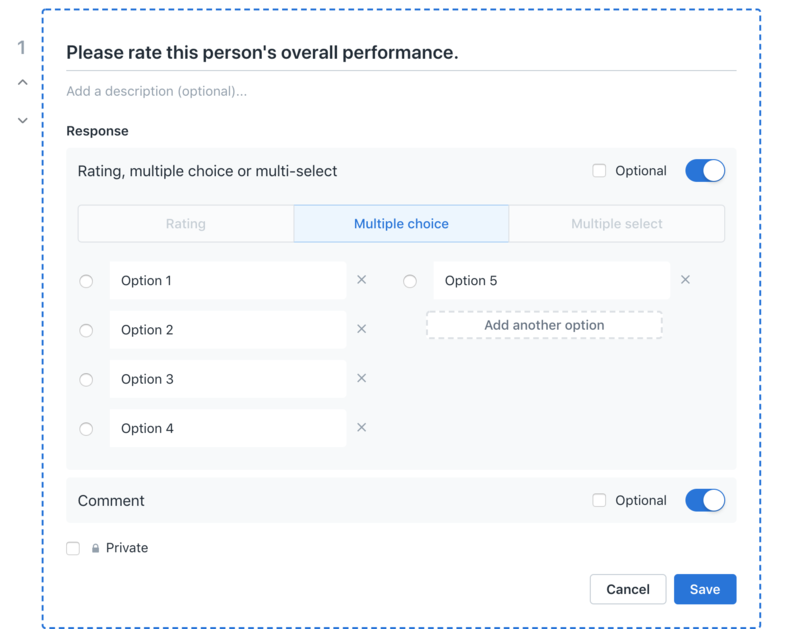 While reviewers are writing their reviews, each goal matching the criteria set in the template will be pulled into the response form. Clicking the arrow underneath the status badge expands more details about the goal, like any associated key results on how the person has done on them. Note: If a goal is created by an employee after a review cycle has been launched, that goal will not be brought into the template. If a goal that has been created prior to review cycle launch is updated, this will be reflected in the review.